Last week Belize said goodbye to its beloved son Andy Palacio. The celebration of Andy’s life began on Thursday evening with a tribute and ceremony sponsored by the Garifuna Council in Punta Gorda. The legend Paul Nabor, a Garifuna artist and good friend of Andy’s who is featured on Andy Palacio’s most recent album Watina, performed in Andy’s memory. The Umalali Singers and Dance Group performed along with Garifuna Drummers. Students from St. Benedict’s R.C. School, my primary assignment, also performed a traditional Garifuna Dance. 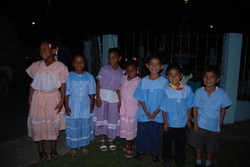 On Friday, a celebration was held in Belize City at the Bliss Institute of Performing Arts. Fellow Musicians, friends, family, and dignitaries were in attendance. A motorcade made its way through the city and to the Municipal Airport, where Andy and his family were flown to Punta Gorda. The motorcade traveled through the streets of PG Town. School children waved Garifuna flags, and many joined the parade as it made its way to the village of Barranco, where a wake was held. The State Funeral was held on Saturday at St. Joseph’s in Barranco, with thousands in attendance as a cultural and musical icon was laid to rest. 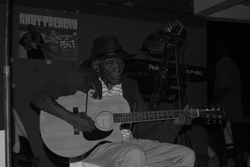 Andy Palacio will not be forgotten, as his spirit lives on through his music and his love for all Belizeans. Belize mourns the loss of their beloved son Andy Palacio. Andy Palacio was a cultural icon and world renowned Garifuna musician who was recently honored by UNESCO as an Artist for Peace in November. He died unexpectedly due to respiratory failure after a stroke and heart attack. 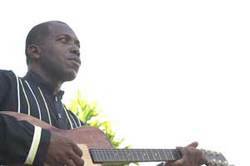 Andy Palacio is from the Garifuna village of Barranco, south of Punta Gorda, here in the Toledo District. This is a huge loss for all Belizeans, and Andy's family and friends are in our thoughts and prayers. Read more about Andy Palacio, his mission to help preserve the Garifuna Culture, and his untimely death at The NY Times and Reuters. Andy Palacio is an icon in Belize. He is Garifuna, a unique culture and ethnic group that is based on the Caribbean coast of Central America and is a blend of West African and Native Caribbean heritage. The Garifuna Culture is under threat, and Andy Palacio has made it his mission to help preserve the Garifuna Culture and its traditions. This week Any Palacio was honored by UNESCO, the United Nations Education, Scientific, and Cultural Organization Council, as an Artist for Peace. 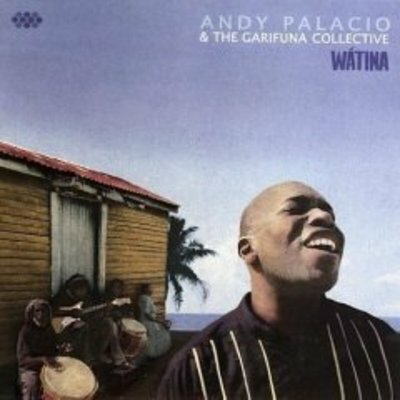 Watina, a unique album that celebrates the Garifuna culture, is the latest from Andy Palacio and the Garifuna Collective, a group of musicians from Belize, Guatemala, and Honduras. Watina is a beautiful collection of songs based on traditional Garifuna rhythm with lyrics in Garifuna and English. You can buy Watina on or at Stonetree Records, where you learn more about Andy Palacio, the Garifuna Collective, and other Belizean artists.